The 8th National Youth Polar Expedition, Skiing to the North Pole, ended on April 17, 2015, the event's organizer, the Priklyucheniye [Adventure] Club, said on its website. The expedition was led by well-known Russian explorers Matvei Shparo and Boris Smolin and its members included Russian Minister of Education and Science Dmitry Livanov, winners and participants of national academic contests, and winners of regional intellectual contests. At 7:40 pm Moscow time, young men and women from seven Russian cities raised a Russian flag, a Banner of Victory and the flags of their regions at the top of the planet. The expedition set out from the Russian drifting station North Pole 2015 on April 10, 2015. 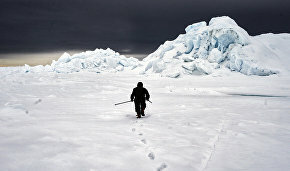 Members of the expedition were to travel the so-called last degree — 110 km to the North Pole. 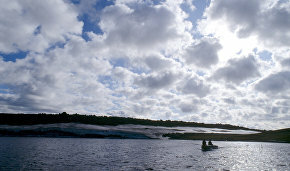 They had to contend with difficult Arctic conditions. During the first few days, temperatures dropped to minus 25 Celsius and gusts of wind reached 10 meters per second. Several days later, the temperature rose somewhat but the wind intensified. The team ended up in a zone of storms and blizzards. At times, visibility dropped to just a few meters. 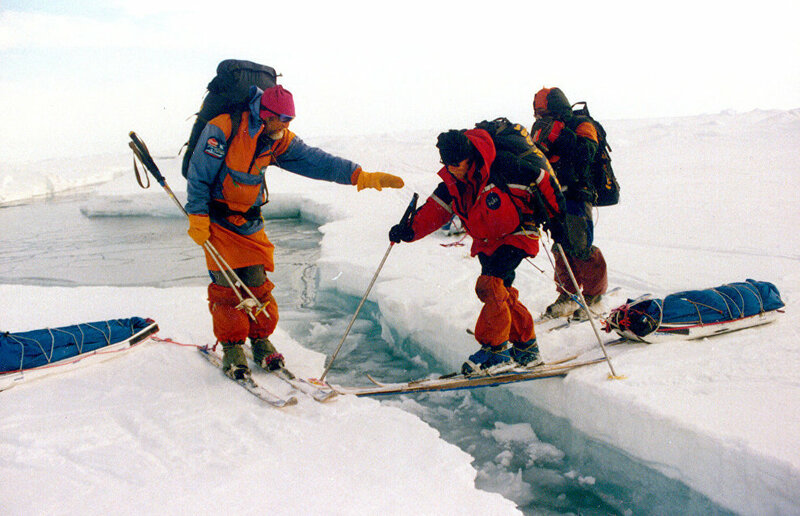 It took the team members seven days to reach the North Pole. They approached their destination with unfolded Russian and regional flags. The expedition members played an extreme northern football match and left a hermetically sealed capsule with a message for the future at the pole. The expedition was organized by Dmitry Shparo and Matvei Shparo's Priklyucheniye Club with support from the Russian Sport Ministry. The competitive selection winners for the expedition were announced in December 2014. At Dmitry Livanov's suggestion, priority was given to young people who had achieved the best academic results: the winners and participants in nationwide academic contests.